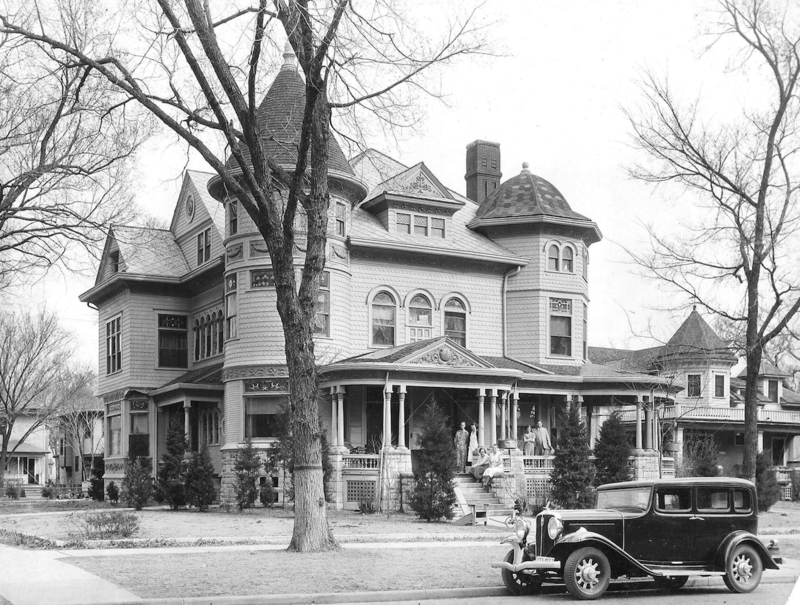 In 1929 Scout Mouse, Sr. purchased the Cross House and partially converted it into apartments. I do not know if he and his family lived in the house. I have previously posted this image, but this is the clearest version I have ever seen. Courtesy Mouse family archives. I would kill for this sign. It was extant until at least the 1960s. Is it stuck in an old barn somewhere? The dashing Scott, Jr. Courtesy Mouse family archives. Today, Lindy Mouse Whetzel, the daughter of the dashing Scott, dropped off a zip drive of images from the family collection, which her sister, Merryl, had laboriously upload. Well, my heart stopped! Cruelly, it was hours before I could plug the zip into my computer to stare in abject wonder at the many images. Fewer things cause me greater excitement. OMG! OMG! OMG! This is an INCREDIBLE image. Wow. WOW! (Make sure you click on the image. It hugely enlarges.) But what is the date?????? I assume post-1929 because that is when Scott, Sr. purchased the house. Some research shows that the car (the car!) is a 1932 Studebaker. So, the image is at least 1932. Oh, that is the carriage house to the right, after it was moved forward on the lot and the porch added. Courtesy Mouse family archives. 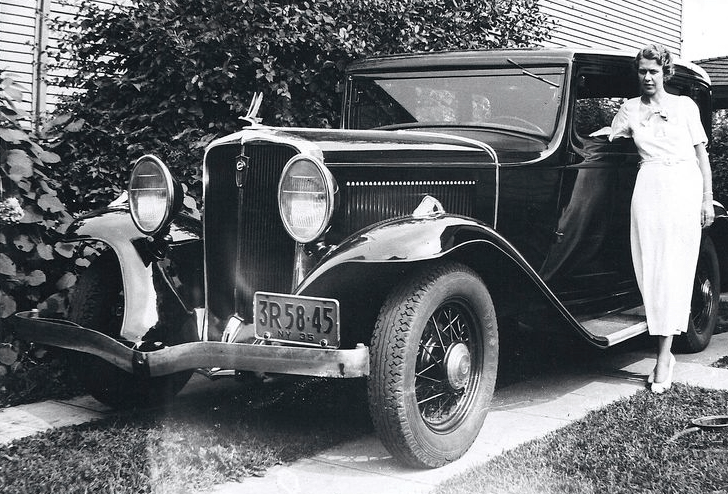 A 1932 Studebaker President. Cool. Now I want one! In the motel image the house is painted white. As it remained for decades. But in the Studebaker image the house does not look white. I wonder what the colors were? Note also the roof shingles. The pointy tower is wood. The main roof is (and still is) diamond-shaped Asbestos tiles. The octagon roof is octagon tiles (asphalt?). I am uncertain what the porch roofs are. Also note the finial on the octagon tower. This is no longer extant, but I have the original drawing of it, and plan to have it recreated this year by W. F. Norman. Well, I am now going to spend hours blissfully staring at the newly found image of my big old house. Thank you Merryl and Lindy, thank you! 20 Responses to I Am Freakin’ Out, Man! Freakin’ Out! Very COOL! Does Lindy know who the people on the porch are? 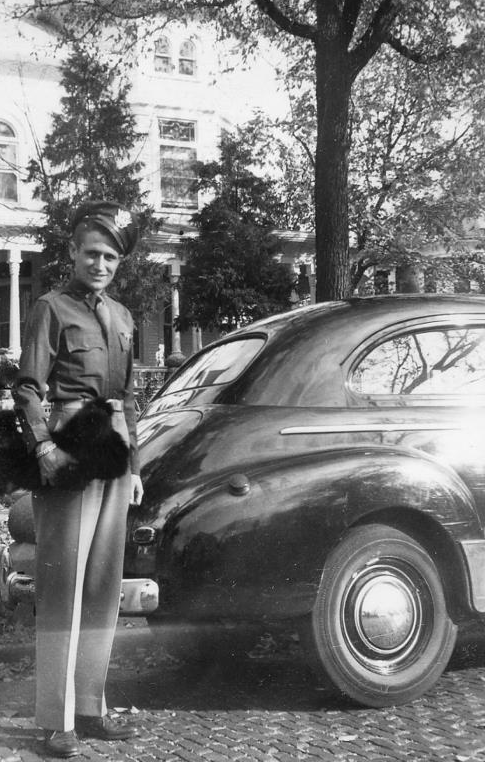 The two on the far right are my grandparents, Scott Sr. and Alice Mouse. Grandpa’s physique (belly) is unmistakeable! So awesome! My jealousy is real! I’m dying for pictures of mine!!! These are perfect. Yes, OMG!! These are mind-boggling in so many ways! What a find! Thanks Ross, but I have to give Merryl credit because she and her husband scanned all of these pictures from my father’s photo albums. I have updated the post to acknowledge the heroic efforts of Merryl! What a treasure! A few years ago, my mother had her WWI bungalow kitchen rehabbed and the demo guys found a few old photos of the house in the walls and they THREW THEM AWAY! I am still mad about that….I am sure you have already spent an inordinate amount of time studying the photos. Growing up with black and white TV , I was always trying to guess what the actual colors were. My guess is the house color, to me, looks like it could be a similar green that you have chosen to paint the exterior. The difference, again to me, is you are painting the windows black which is different in the photos. So happy for your gift of these photos. The colors I am painting the exterior are a very close match to the original 1894 colors, including the black sashes. The Studebaker image (above) is four decades after the house was built. It seems unlikely that the original color scheme would have still been maintained after so many years. It would be cool to know what the 1930 colors were! 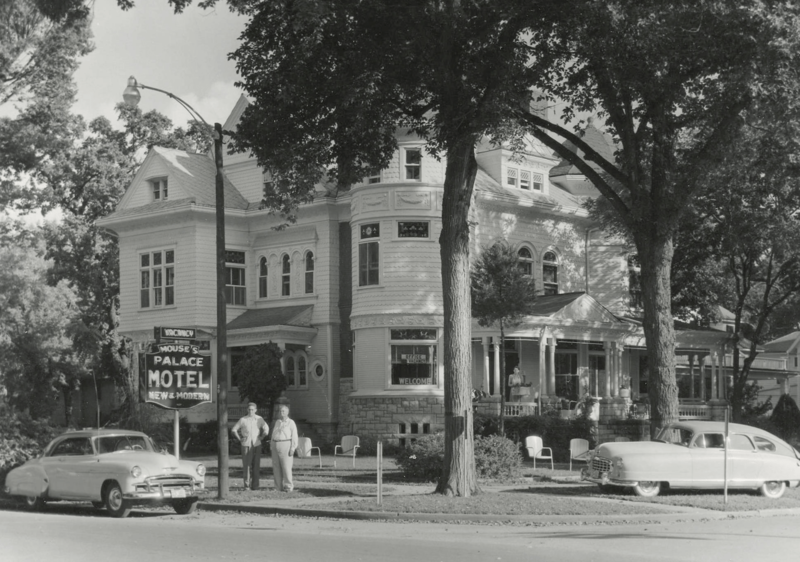 So you believe the photo with the Studebaker is showing the house with its original paint color? I would be amazed if the Studebaker image (taken no earlier than 1932) showed the original 1894 color scheme. The house would have been repainted, likely, at least four times between 1894 and the 1930s. An 1894 color scheme would have been thought terribly old-fashioned even by 1915. On the license plate of the car underneath the numbers 3R38.45 it say’s NY 35. Does this mean the car is registered in the year 1935? Wonderful photos of an amazing era! The second Studebaker image is something I found on the internet. While the same model and year as the car shown in front of the Cross House, it is a different car. I do not know what NY 35 means, but suspect your guess is correct. So cool! So clear! And a kid on a trike. And what is that circular object to the right, almost looks like its hanging from a tree…do you see that (at the far right of the porch)? That is amazing to have those photos. I’m a big history buff, in addition to being an old house nut, so having those old photos and stories is really exciting. I have only a few historic photos of our home, and only by coincidence, due to it being visible in the corner of some archive photos of a noteworthy apartment building at the corner of our block. I would pay good money for better early photos. The tower roof could be asbestos too – came (and minus asbestos comes) in all sorts of shapes and colours. Invented in 1895 as an affordable alternative to slate and called “Eternit” for its longevity this stuff has been around for a while! Currently you can get red, brown grey and black. The shingles on the octagon tower, as shown in the circa-1932 image, were long ago replaced. I inherited asphalt shingles. And now these have been replaced!